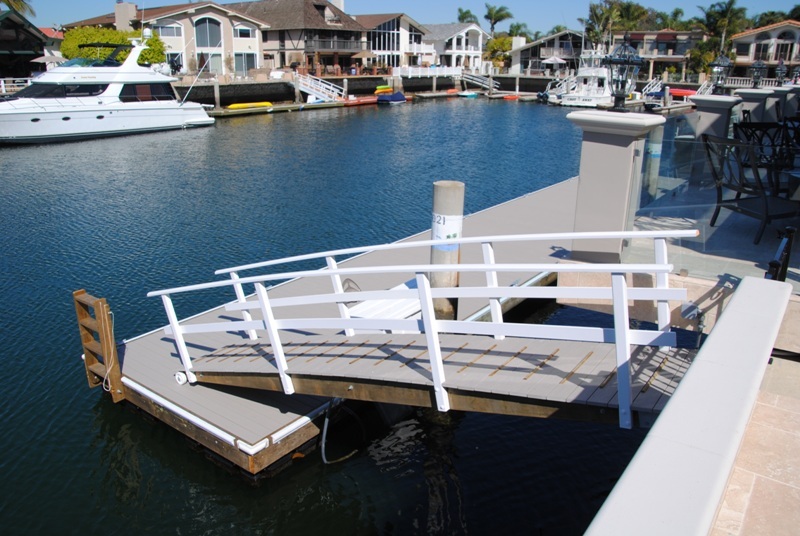 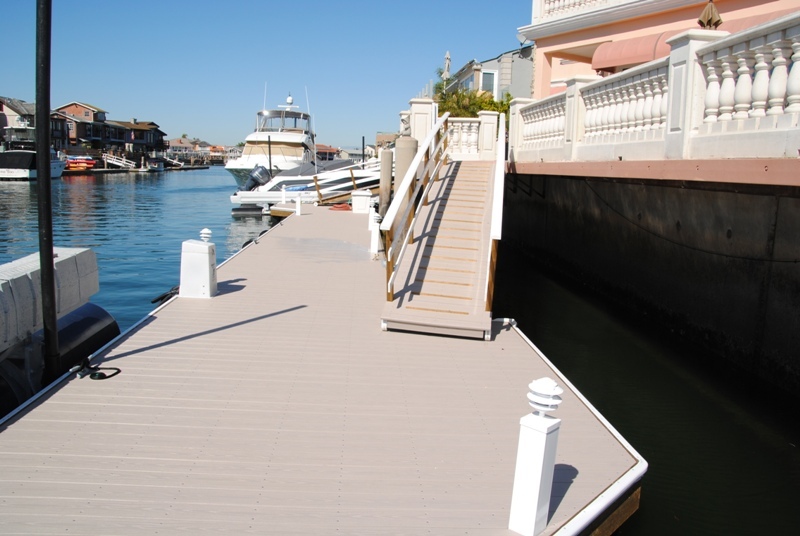 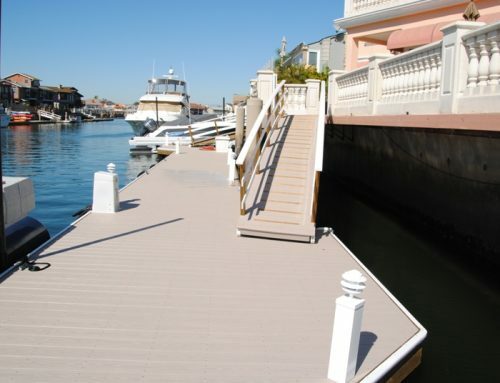 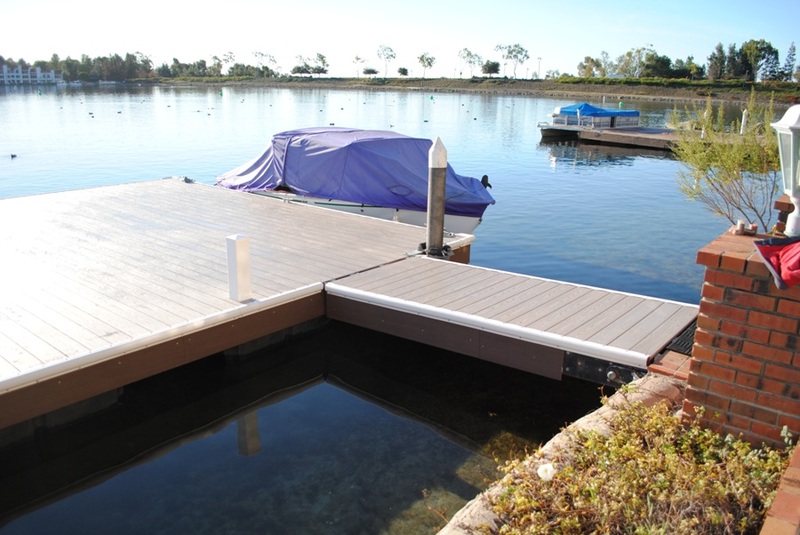 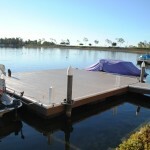 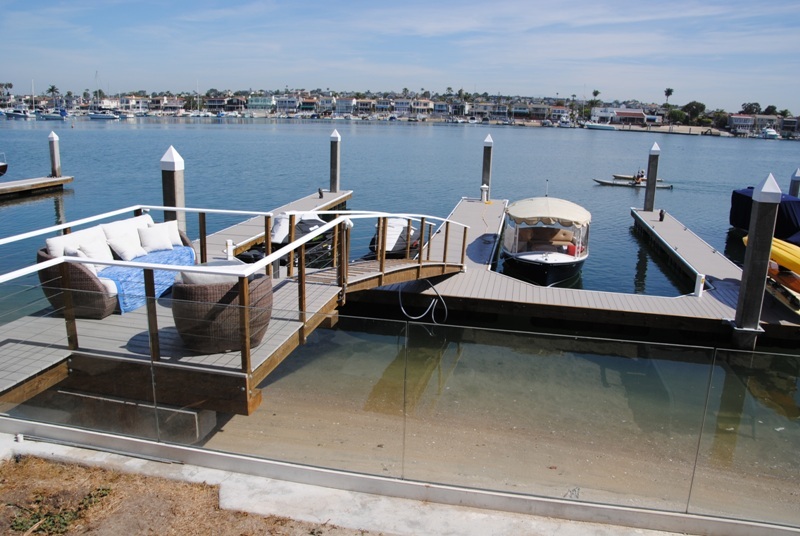 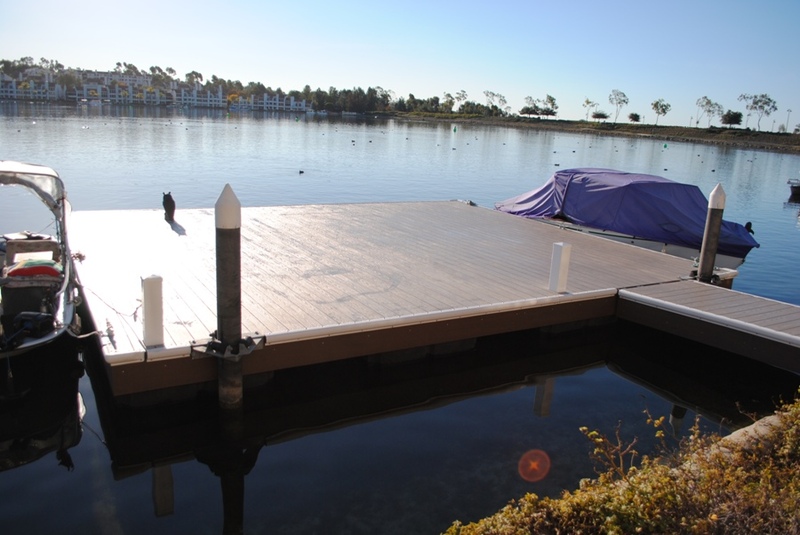 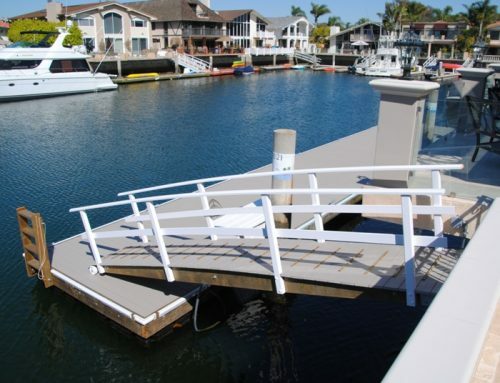 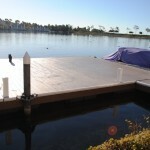 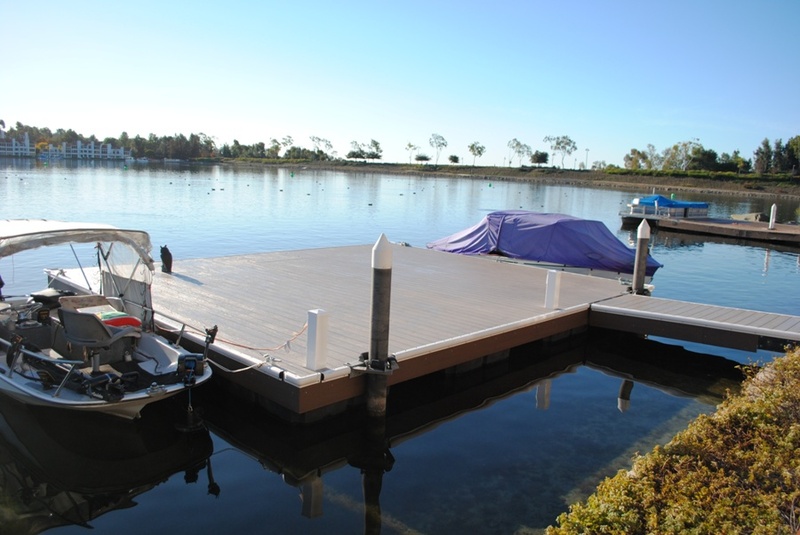 This private dock in Mission Viejo is very maintenance free. 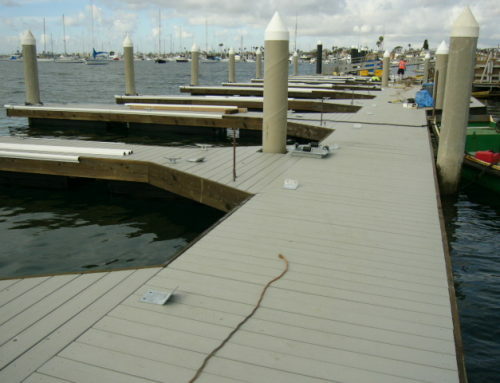 It contains Azek Clay color decking with Azek Acacia color facia. 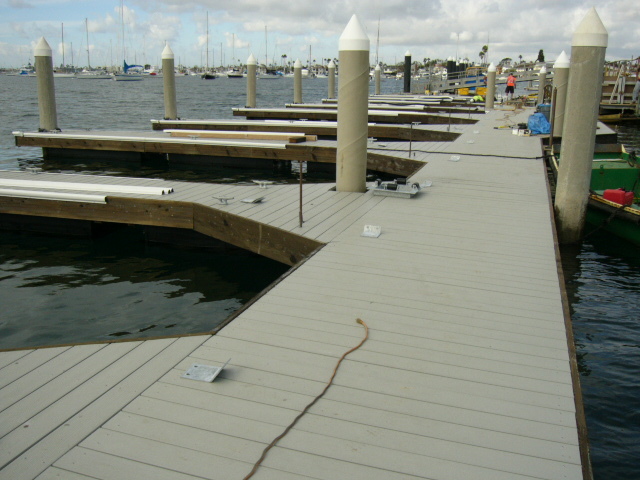 The uniqueness of this Azek decking is that it repels water, unlike other materials. 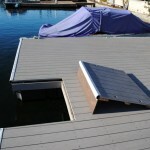 This adds an extra protection and makes the material last longer. 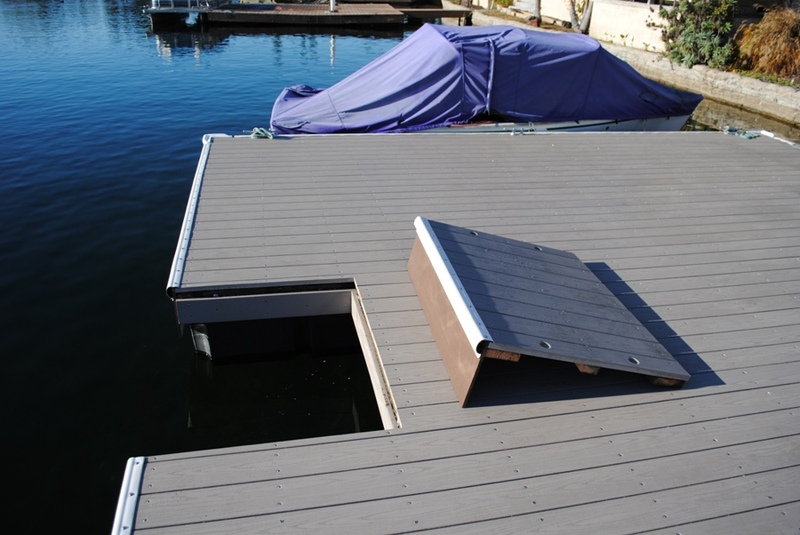 This dock has a double hinged gangway with the Azek decking to match. 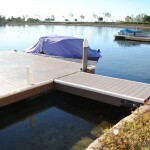 The dock also contains a fishing hatch at the end of the dock to allow the owner to sit and fish.